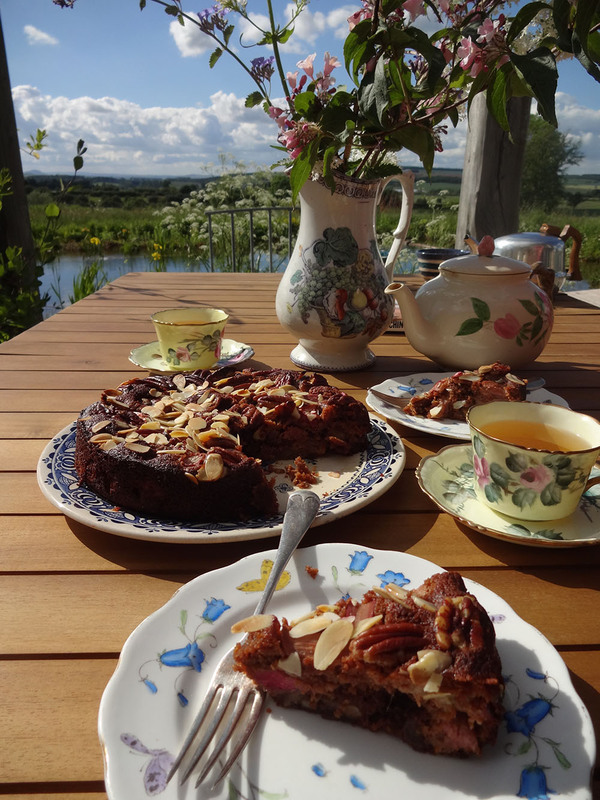 Our rhubarb is nearly over for this year alas, so Helen came up with this delicious cake to make the most of it before the rhubarb patch gets a well-earned rest! If you’re a bit dubious about rhubarb, don’t be put off! The rhubarb isn’t too acidic here and gives the cake a pleasing fruity tasty, balanced out by the nuts, spices and ginger….